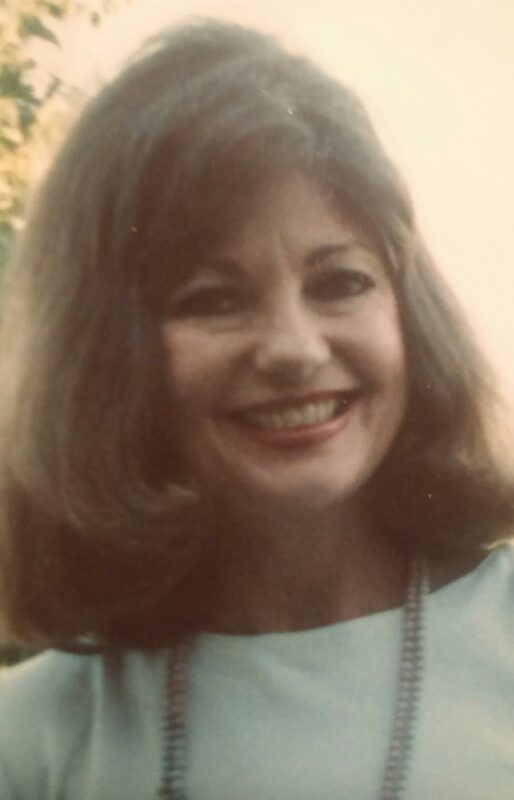 Linda Sue Eakes, 79, quietly left this earth on Oct. 12, 2018. She was born August 17,1939, in Kellyville, OK to Guy and Pearl Dodson. Linda was preceded in death by her parents, two sisters, Dixie Dodson and Kay Smith, as well as four brothers, Charles Dodson, Thomas Dodson, Gerald Dodson, Victor Lee Dodson, and her daughter, Kim Gardner. She was also preceded in death by former husband, Ted Eakes. She is survived by daughter Elizabeth Hail and her partner Jim Smethers of Oklahoma City, sister Jean and her husband John Richardson of Los Gatos, CA, sister-in-law Edith Dodson of Sapulpa and brother-in-law Gary Smith of Tulsa. Linda is also survived by grandchildren Justin Eakes, Ashley Gardner, and Bryan Hail. She was blessed with great-grandchildren, many nieces, nephews, and cousins, all of whom she loved dearly. Linda attended schools in Kellyville, Sapulpa and Broken Arrow, graduating from Broken Arrow High School in 1957. Linda was known throughout her life for her beauty, and was chosen to represent Broken Arrow in the state Miss Universe pageant in Oklahoma City. She could have chosen to pursue this path in life, but instead followed her true passion by having a family that she would care for through illness and in strife. Linda worked as a secretary for Key Personnel, and earned the honor of Employee of the Year. She also volunteered at the DHS Shelter, caring for and rocking babies who were in need of love and attention. Linda loved everyone and had only kind words for those she met. A talented artist, Linda filled her home with portraits of family and friends. She loved playing basketball and softball when she was young, and much to her enjoyment, could rival many young men she challenged. Linda also volunteered, serving as president of her neighborhood chapter of the Oklahoma Democratic Party. Linda loved to read and made regular library visits until her health started failing. She was a true caregiver, having attended her older sister for many years who suffered with a serious illness and her daughter who was gravely ill. Linda never refused to help those in need , no matter the circumstances. As her health began to decline, Linda found strength through prayer and meditation. An angel on earth, Linda will be missed by all who knew and loved her. Family and friends know that she is at peace now, walking among angels. The family would like to extend a special thanks to Clarehouse for their kind and compassionate care of Linda. A celebration of the life for his beautiful woman will be held on Monday, October 22, at 1:00 P.M. at the Kellyville Holiness Church, 728 S. Main, Kellyville, OK. I believe all of you know how special Linda was to me. I am so sorry that I was unable to be there for her funeral. I am so glad that I got to spend several hours of very special time with her this past June. We had time to talk and share and have lunch together. I also slipped out for awhile and bought some books for her. I knew she was in a lot of pain and discomfort. I wish she had been able to get the proper medical care. Linda was a beautiful and gracious lady. She was very caring and always wanted the best for her family. We enjoyed each other’s company from a very early age. I regret that we didn’t get to spend more time together. She knew how to make people feel special. We always parted with an expression of our love for each other. She thought a lot of my precious wife Norma who passed away recently. I am sure they are sharing the limelight in their roles as Heavenly Angels! I lived directly across from Ms. Linda for several years, we became very close. I will miss our talks and all I learned while listening. She had so much to share. I will always remember the love in her eyes. Sleep with Angel’s and tell my mom I miss her. Love always, Shelly..